I’ve had the pleasure to work with Steve for many years. His creativity, professionalism and expertise both as a camera operator and as an editor make him a critical asset to my projects. Without question, my company’s best work (including several award winners) has come from my collaborations with Steve. Steve is the consummate professional. His image quality, attention to detail, editorial finesse, and work ethic is of the highest quality. Steve is so easy to work with; it is always a pleasure to work with him. I highly recommend you consider him for your next video project. 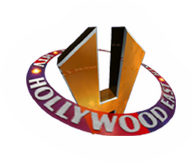 "Steve and the crew at Hollywood East are really good at what they do! They're creative, affordable and have our agencies back at every turn! Our clients love working with them!" Steve at Hollywood East is very cool. He filmed our commercial as promised, clean,fast and effective!